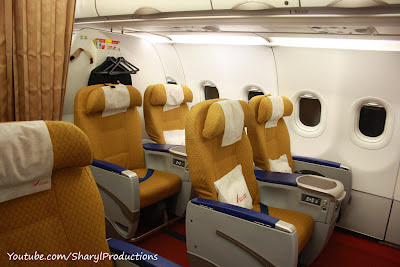 I happened to fly on Air India's domestic flight from Delhi to Cochin, India the other day. Since it was a long domestic flight and I had nothing better to do, I decided to take a few photographs/videos and do a little review of their product. 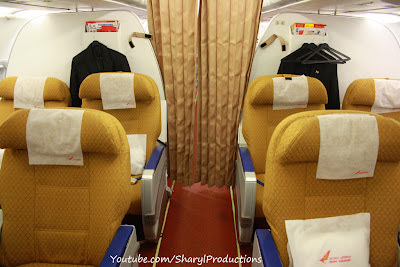 I flew on an Airbus A319 aircraft that has a capacity of 122 seats, 8 of which were in the business class. 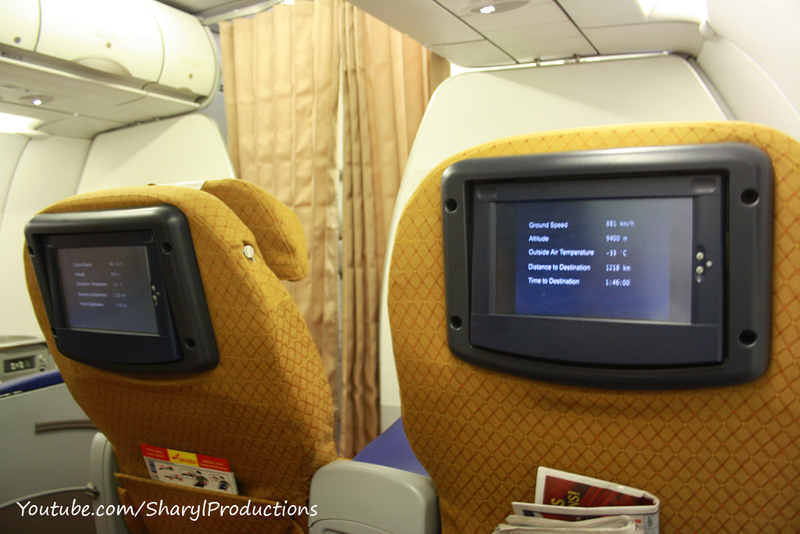 As I entered the aircraft, I realized that this was one of their new aircrafts that has Inflight Entertainment system available onboard. I stowed my carry on in the overhead compartment and made myself comfortable on seat 1A in the business class. Their interiors are a mix of bright colours, with orange seats, red carpets and blue armrests. It was a clean aircraft and smelt fresh. They've configured their business class in 2 rows of 2 X 2. The seats were fairly wide and comfortable. The legroom on the first row was out of the world as you can see. The second row legroom was equally good, and also had a footrest. 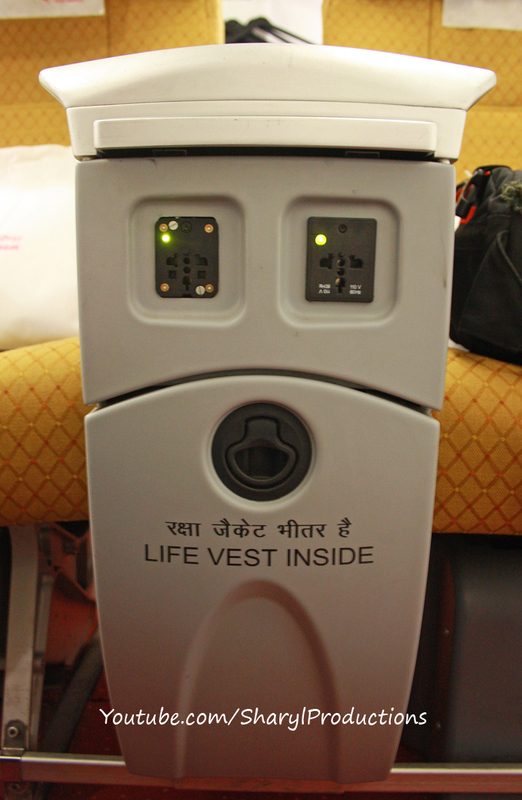 Below the center armrest of every seat is a power station, where you can plug in your laptop or cellphone for charging. It supplies 110V AC at 60 Hz. The Inflight Entertainment System is Thales i3000 and is non-AVOD, but thats okay for a domestic aircraft I suppose. The PTVs are 10.6 inches in size (equivalent to an iPad) and is touchscreen. And no, not as responsive as an iPad.